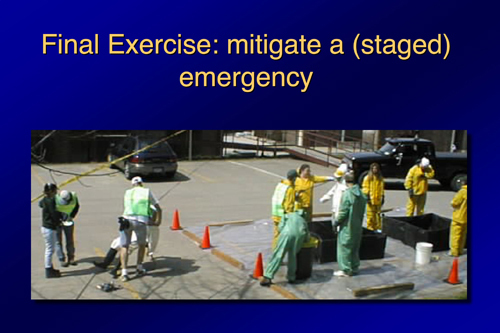 These guidelines are based on discussions at the 2013 Geoscience in the 21st Century Workforce workshop and stem from work by Heather Macdonald (College of William and Mary), Sen Chiao (San Jose State University), Chris Sinton (Ithaca College), Rick Ford (Weber State University). 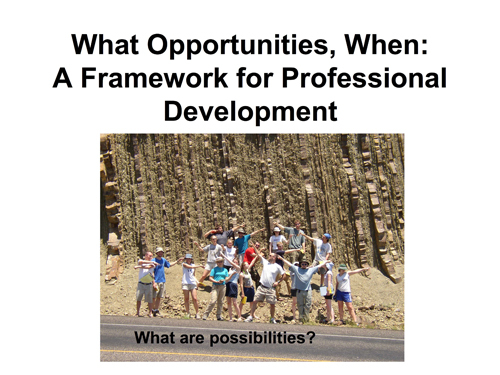 Heather Macdonald gave a presentation on What Opportunities, When: A Framework for Professional Development (PowerPoint 4.2MB Jan19 07) at the 2007 workshop on the Role of Departments in Preparing Future Geoscience Professionals. 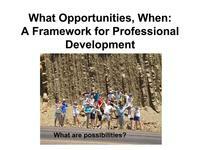 In it, she asks: What professional traits do we want our students to develop? How can we help them to develop those traits? How does this relate to career advising at different stages? 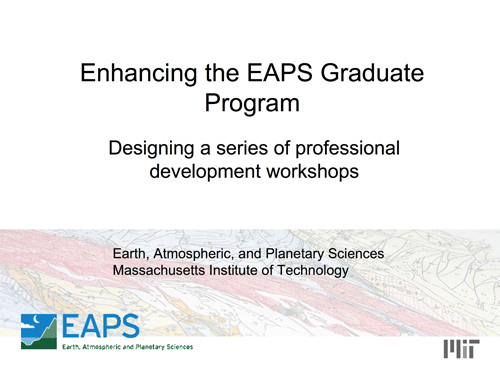 Vicki McKenna gave a presentation on Enhancing the EAPS Graduate Program: Designing a series of professional development workshops (PowerPoint 386kB Jan11 07) at the 2007 workshop on the Role of Departments in Preparing Future Geoscience Professionals. 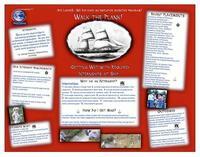 Sean Cornell describes his department's mandatory internship program for majors (Walk the Plank (Acrobat (PDF) 126kB Jan8 07)) in this poster from the 2007 workshop on Preparing Future Geoscience Professionals. 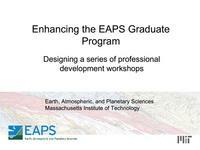 American Geosciences Institute Workforce Program, 2011. 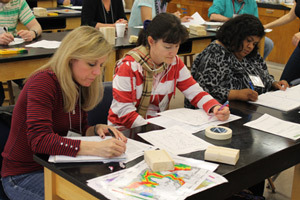 A Secure Future for Energy, Environment and Hazard Mitigation: Retaining students through the Student-to-Professional Continuum in the Geosciences. 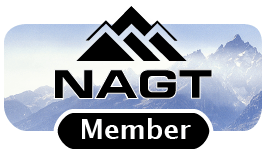 This webinar explored the questions of how to retain students in geoscience programs and help them transition into geoscience careers. 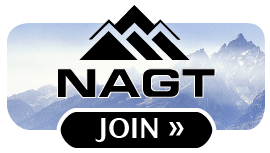 You can watch the video of the webinar and read the working groups' summary reports. Tomorrow's Professor Mailing List, 2010. Global Education and Liberal Education. This brief article explores ways to provide a greater global education for undergraduate students and the resulting impact this will have on traditional liberal arts curricula.